Visiting the London Science festival at UCL in early October, I met Gleb Lukicov who had created this beautiful experience for visitors - using a cheap hand held spectrascope they could see the spectral lines emitted by different gases. 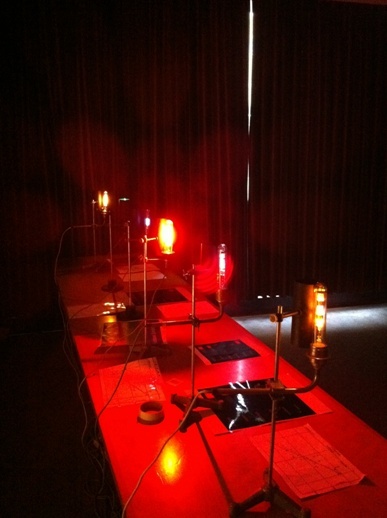 Each lamp contains a different element (cadmium, mercury, sodium.....) which produces its own unique spectral lines, like a fingerprint. The lines tell us about the atomic structure. Gleb is a young physicist and passionate science communicator. Copyright © 2019, Geraldine Cox. All rights reserved.